We stop foundation cracks in their tracks. Foundation crack repair is common in our area of the country. With so many houses built on top of abandoned coal mines, it is unwise to take any chances. Let us give you a FREE inspection and repair estimate for your property. We will provide you with a thorough assessment and remediation strategy. You may have a foundation crack and not even know it. 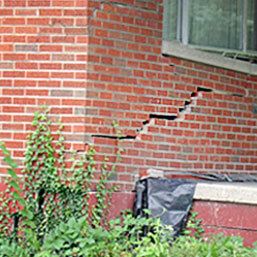 Foundation cracks may be the result of any number of issues related to the soil beneath your home. Soil that was not well-compacted during construction can cause your home to settle. 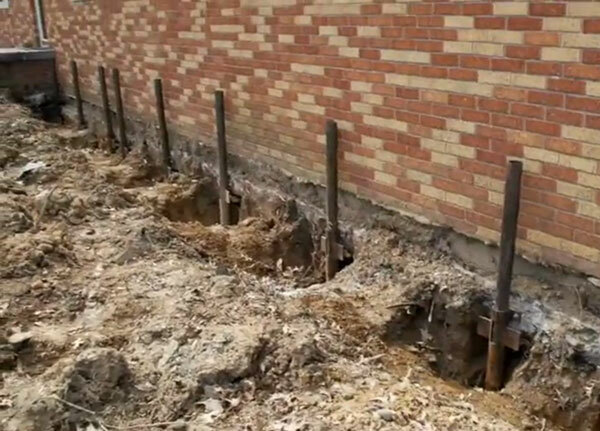 Organic materials in the soil underneath the house can disintegrate and diminish the foundation’s load-bearing capacity. Silt, sand and clay can erode, leaving pockets of empty space in the underpinning. Expansive clay soil can dry out and separate from your foundation walls and cause the structure to lean. 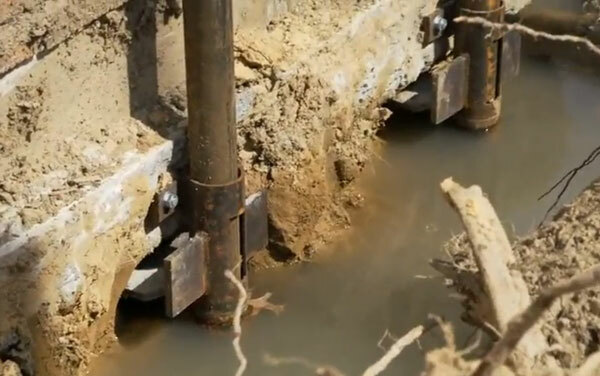 Old mining shafts can fill with water or collapse; this can cause a weakening of the soil holding up your home. 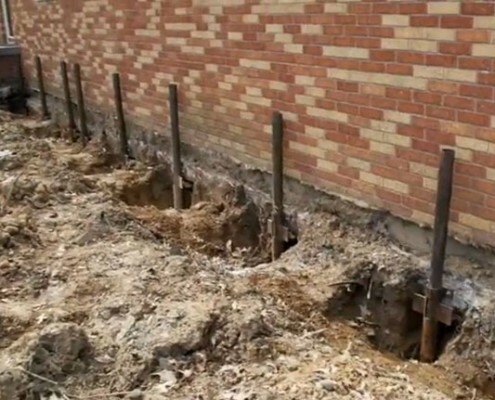 Improper drainage systems and even the trees planted near your house can create a need for foundation crack repair. The important thing to remember is that when cracks begin to appear they must not be ignored. Every foundation crack issue is different. Every foundation crack repair project must be approached and addressed in a unique way because different problems have different causes. Sometimes concrete will develop gaps and crevices due to shrinkage during the curing process. Other times, however, fractures can be the sign of significant problems developing underneath. No matter how large or small your problem is, we can handle it. 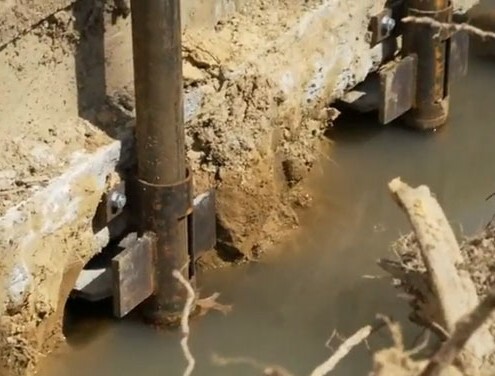 Common issues include simple fissures caused by natural settling; serious fractures caused by soil erosion; and mine subsidence caused by collapse of abandoned shafts. Let us prevent your costly situations for your home. The Dangers of Uneven Home Settling. Your house settles over time as the weight and pressure of the structure compresses the soil below. But misreading signs of trouble can lead to costly and even dangerous situations. One of the most important things to watch for is uneven settling. You will be able to recognize this problem by inspecting the area affected by the settling. Go to the area where the crack has appeared and study the areas that fall to the left and the right of the fracture. If you can clearly see that one side of the house is sinking lower than the other, you want to take immediate action. 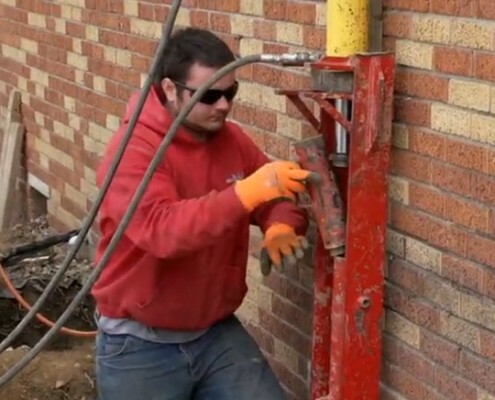 Call us right away for foundation lifting, pier work and all types of foundation restoration. Uneven settling is a sign that the soil on one side of the house is giving way, and the disproportionate shifting of the structure will cause undue pressure. You may notice a slanting in your floors, as well as jammed doors and windows. Your porch may begin to separate from the main structure. You may even hear the creaking of strained wooden frames and other internal parts as the house moves out of square. If you have noticed any of these symptoms, along with structural cracks, call for immediate help. We want to save your home! 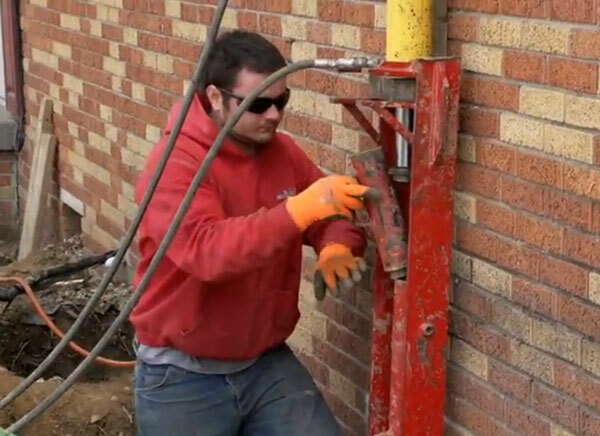 Full foundation restoration is what we do well. Our team of knowledgeable restoration technicians can bring back your entire house’s original integrity. We will not only help you address foundation crack repair issues; we will also help you repair and replace all components affected by settling or shifting. If water has seeped into the basement due to the fractures in your slab, we can do the proper basement repair. This eliminates any mold or mildew, gets rid of damp odors, and waterproofs the space to prevent the issue from recurring. Has settling or shifting damaged walls, or dislodged molding or trim work? We can also do drywall repair and help you restore interior beauty. Our company has earned and maintained an A+ rating with the Better Business Bureau, and we are also members of the National Association of Home Builders. We are dedicated to providing honest, courteous service, and we will even work directly with your insurance company, if you are making a claim against your homeowner’s insurance policy. Get correct foundation crack repair in Newburgh, Evansville, Boonville and all nearby communities. Our inspections and estimates are free, and we know how to save and restore houses.